Recent studies have demonstrated the power of recurrent neural networks for machine translation, image captioning and speech recognition. For the task of capturing temporal structure in video, however, there still remain numerous open research questions. Current research suggests using a simple temporal feature pooling strategy to take into account the temporal aspect of video. We demonstrate that this method is not sufficient for gesture recognition, where temporal information is more discriminative compared to general video classification tasks. 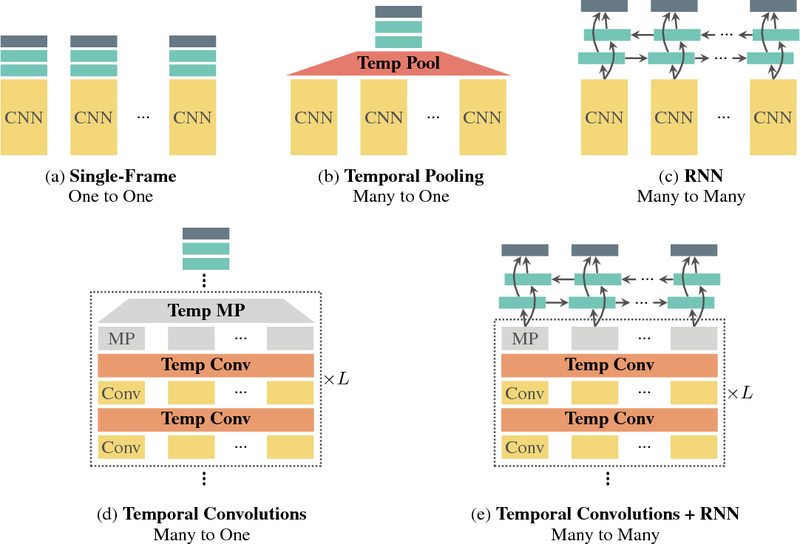 We explore deep architectures for gesture recognition in video and propose a new end-to-end trainable neural network architecture incorporating temporal convolutions and bidirectional recurrence. Our main contributions are twofold; first, we show that recurrence is crucial for this task; second, we show that adding temporal convolutions leads to significant improvements. We evaluate the different approaches on the Montalbano gesture recognition dataset, where we achieve state-of-the-art results. Realistic music generation is a challenging task. When building generative models of music that are learnt from data, typically high-level representations such as scores or MIDI are used that abstract away the idiosyncrasies of a particular performance. But these nuances are very important for our perception of musicality and realism, so in this work we embark on modelling music in the raw audio domain. It has been shown that autoregressive models excel at generating raw audio waveforms of speech, but when applied to music, we find them biased towards capturing local signal structure at the expense of modelling long-range correlations. This is problematic because music exhibits structure at many different timescales. 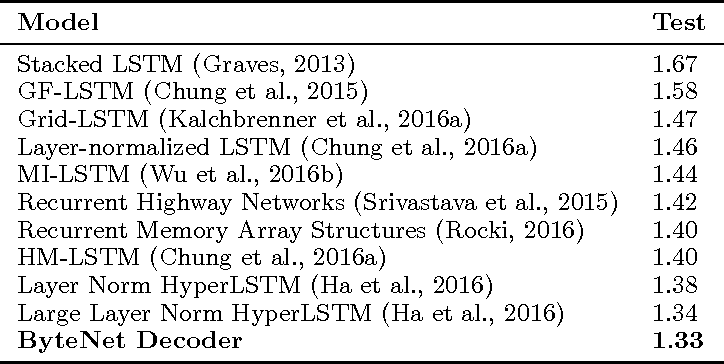 In this work, we explore autoregressive discrete autoencoders (ADAs) as a means to enable autoregressive models to capture long-range correlations in waveforms. We find that they allow us to unconditionally generate piano music directly in the raw audio domain, which shows stylistic consistency across tens of seconds. Learning useful representations without supervision remains a key challenge in machine learning. In this paper, we propose a simple yet powerful generative model that learns such discrete representations. Our model, the Vector Quantised-Variational AutoEncoder (VQ-VAE), differs from VAEs in two key ways: the encoder network outputs discrete, rather than continuous, codes; and the prior is learnt rather than static. In order to learn a discrete latent representation, we incorporate ideas from vector quantisation (VQ). Using the VQ method allows the model to circumvent issues of "posterior collapse" -- where the latents are ignored when they are paired with a powerful autoregressive decoder -- typically observed in the VAE framework. Pairing these representations with an autoregressive prior, the model can generate high quality images, videos, and speech as well as doing high quality speaker conversion and unsupervised learning of phonemes, providing further evidence of the utility of the learnt representations. This paper introduces Associative Compression Networks (ACNs), a new framework for variational autoencoding with neural networks. The system differs from existing variational autoencoders (VAEs) in that the prior distribution used to model each code is conditioned on a similar code from the dataset. In compression terms this equates to sequentially transmitting the dataset using an ordering determined by proximity in latent space. Since the prior need only account for local, rather than global variations in the latent space, the coding cost is greatly reduced, leading to rich, informative codes. Crucially, the codes remain informative when powerful, autoregressive decoders are used, which we argue is fundamentally difficult with normal VAEs. 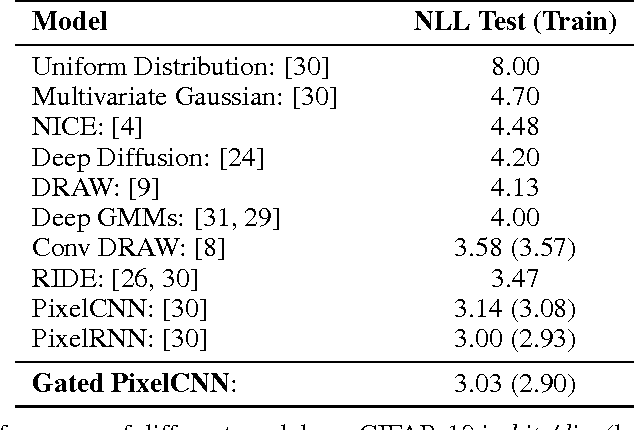 Experimental results on MNIST, CIFAR-10, ImageNet and CelebA show that ACNs discover high-level latent features such as object class, writing style, pose and facial expression, which can be used to cluster and classify the data, as well as to generate diverse and convincing samples. 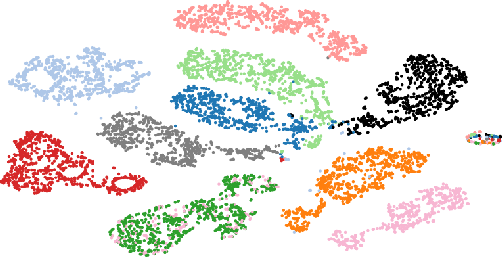 We conclude that ACNs are a promising new direction for representation learning: one that steps away from IID modelling, and towards learning a structured description of the dataset as a whole. Probabilistic generative models can be used for compression, denoising, inpainting, texture synthesis, semi-supervised learning, unsupervised feature learning, and other tasks. Given this wide range of applications, it is not surprising that a lot of heterogeneity exists in the way these models are formulated, trained, and evaluated. As a consequence, direct comparison between models is often difficult. This article reviews mostly known but often underappreciated properties relating to the evaluation and interpretation of generative models with a focus on image models. In particular, we show that three of the currently most commonly used criteria---average log-likelihood, Parzen window estimates, and visual fidelity of samples---are largely independent of each other when the data is high-dimensional. Good performance with respect to one criterion therefore need not imply good performance with respect to the other criteria. Our results show that extrapolation from one criterion to another is not warranted and generative models need to be evaluated directly with respect to the application(s) they were intended for. In addition, we provide examples demonstrating that Parzen window estimates should generally be avoided. Due to the phenomenon of "posterior collapse," current latent variable generative models pose a challenging design choice that either weakens the capacity of the decoder or requires augmenting the objective so it does not only maximize the likelihood of the data. In this paper, we propose an alternative that utilizes the most powerful generative models as decoders, whilst optimising the variational lower bound all while ensuring that the latent variables preserve and encode useful information. Our proposed $\delta$-VAEs achieve this by constraining the variational family for the posterior to have a minimum distance to the prior. For sequential latent variable models, our approach resembles the classic representation learning approach of slow feature analysis. 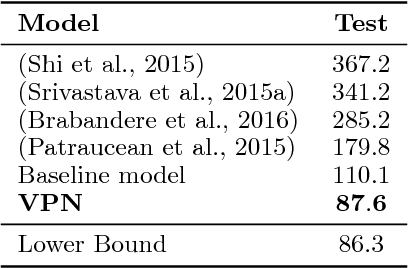 We demonstrate the efficacy of our approach at modeling text on LM1B and modeling images: learning representations, improving sample quality, and achieving state of the art log-likelihood on CIFAR-10 and ImageNet $32\times 32$. 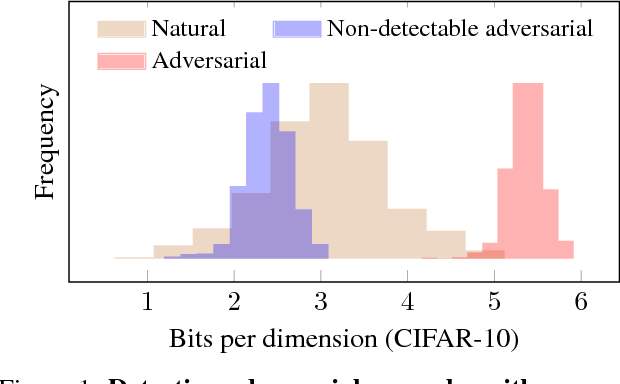 This paper investigates recently proposed approaches for defending against adversarial examples and evaluating adversarial robustness. We motivate 'adversarial risk' as an objective for achieving models robust to worst-case inputs. We then frame commonly used attacks and evaluation metrics as defining a tractable surrogate objective to the true adversarial risk. This suggests that models may optimize this surrogate rather than the true adversarial risk. We formalize this notion as 'obscurity to an adversary,' and develop tools and heuristics for identifying obscured models and designing transparent models. 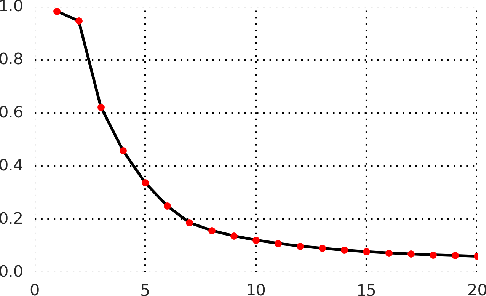 We demonstrate that this is a significant problem in practice by repurposing gradient-free optimization techniques into adversarial attacks, which we use to decrease the accuracy of several recently proposed defenses to near zero. Our hope is that our formulations and results will help researchers to develop more powerful defenses. We consider the task of unsupervised extraction of meaningful latent representations of speech by applying autoencoding neural networks to speech waveforms. The goal is to learn a representation able to capture high level semantic content from the signal, e.g. phoneme identities, while being invariant to confounding low level details in the signal such as the underlying pitch contour or background noise. The behavior of autoencoder models depends on the kind of constraint that is applied to the latent representation. We compare three variants: a simple dimensionality reduction bottleneck, a Gaussian Variational Autoencoder (VAE), and a discrete Vector Quantized VAE (VQ-VAE). 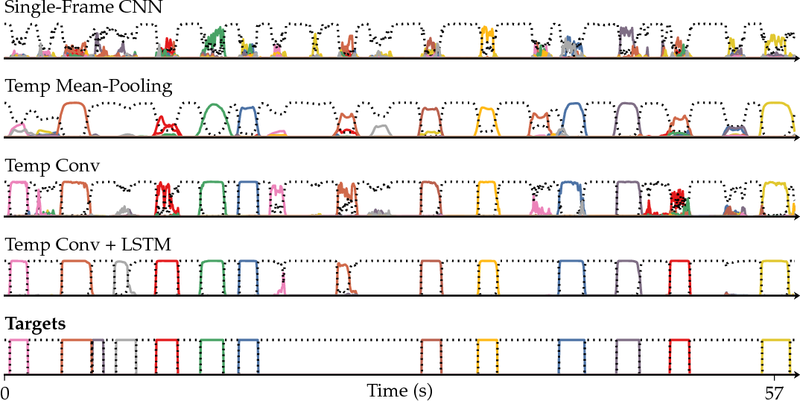 We analyze the quality of learned representations in terms of speaker independence, the ability to predict phonetic content, and the ability to accurately reconstruct individual spectrogram frames. 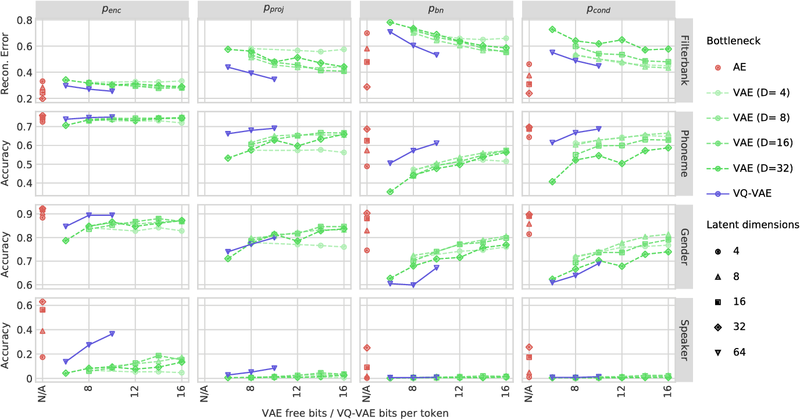 Moreover, for discrete encodings extracted using the VQ-VAE, we measure the ease of mapping them to phonemes. 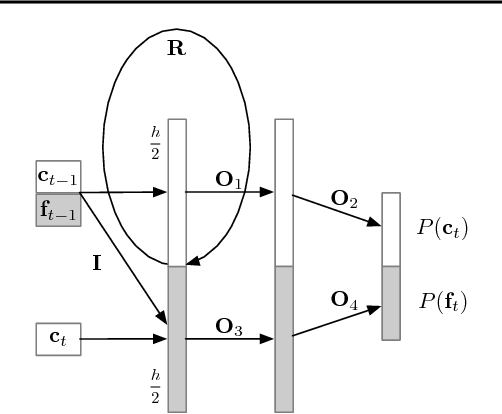 We introduce a regularization scheme that forces the representations to focus on the phonetic content of the utterance and report performance comparable with the top entries in the ZeroSpeech 2017 unsupervised acoustic unit discovery task. Bellemare et al. 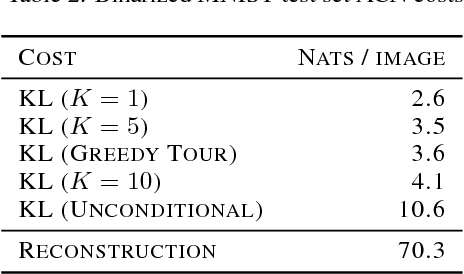 (2016) introduced the notion of a pseudo-count, derived from a density model, to generalize count-based exploration to non-tabular reinforcement learning. This pseudo-count was used to generate an exploration bonus for a DQN agent and combined with a mixed Monte Carlo update was sufficient to achieve state of the art on the Atari 2600 game Montezuma's Revenge. We consider two questions left open by their work: First, how important is the quality of the density model for exploration? Second, what role does the Monte Carlo update play in exploration? 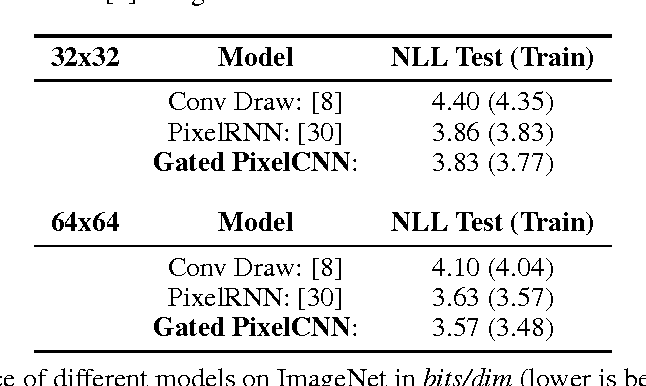 We answer the first question by demonstrating the use of PixelCNN, an advanced neural density model for images, to supply a pseudo-count. In particular, we examine the intrinsic difficulties in adapting Bellemare et al. 's approach when assumptions about the model are violated. The result is a more practical and general algorithm requiring no special apparatus. We combine PixelCNN pseudo-counts with different agent architectures to dramatically improve the state of the art on several hard Atari games. One surprising finding is that the mixed Monte Carlo update is a powerful facilitator of exploration in the sparsest of settings, including Montezuma's Revenge. We present a novel neural network for processing sequences. 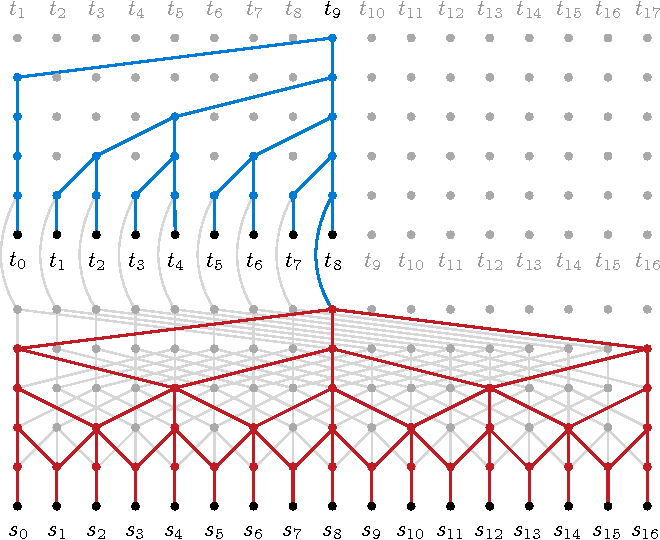 The ByteNet is a one-dimensional convolutional neural network that is composed of two parts, one to encode the source sequence and the other to decode the target sequence. The two network parts are connected by stacking the decoder on top of the encoder and preserving the temporal resolution of the sequences. To address the differing lengths of the source and the target, we introduce an efficient mechanism by which the decoder is dynamically unfolded over the representation of the encoder. 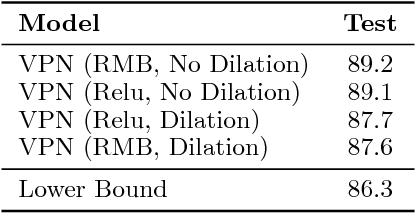 The ByteNet uses dilation in the convolutional layers to increase its receptive field. The resulting network has two core properties: it runs in time that is linear in the length of the sequences and it sidesteps the need for excessive memorization. The ByteNet decoder attains state-of-the-art performance on character-level language modelling and outperforms the previous best results obtained with recurrent networks. The ByteNet also achieves state-of-the-art performance on character-to-character machine translation on the English-to-German WMT translation task, surpassing comparable neural translation models that are based on recurrent networks with attentional pooling and run in quadratic time. We find that the latent alignment structure contained in the representations reflects the expected alignment between the tokens. This work explores conditional image generation with a new image density model based on the PixelCNN architecture. The model can be conditioned on any vector, including descriptive labels or tags, or latent embeddings created by other networks. 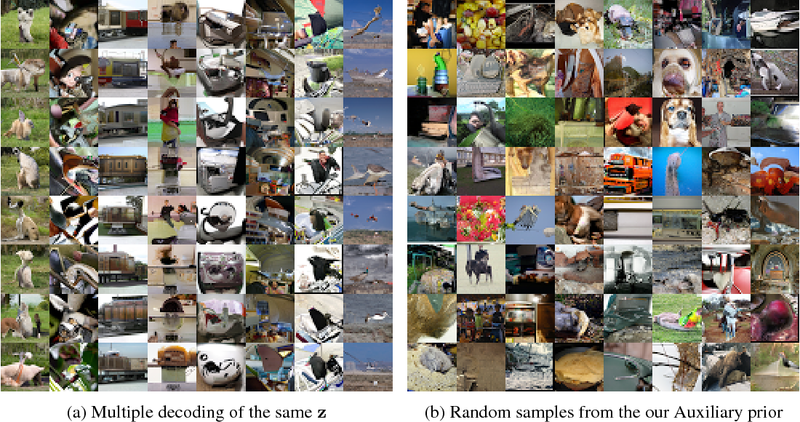 When conditioned on class labels from the ImageNet database, the model is able to generate diverse, realistic scenes representing distinct animals, objects, landscapes and structures. When conditioned on an embedding produced by a convolutional network given a single image of an unseen face, it generates a variety of new portraits of the same person with different facial expressions, poses and lighting conditions. We also show that conditional PixelCNN can serve as a powerful decoder in an image autoencoder. 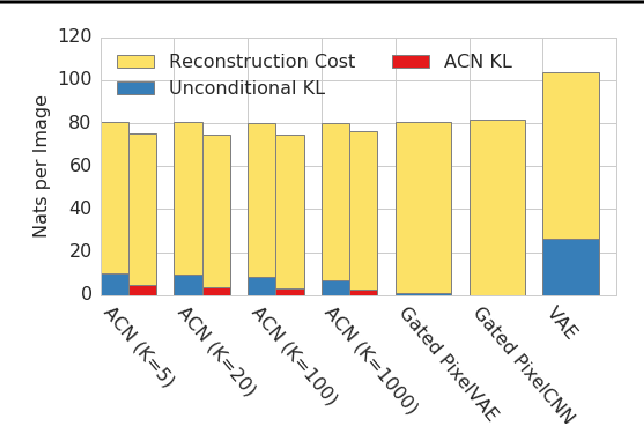 Additionally, the gated convolutional layers in the proposed model improve the log-likelihood of PixelCNN to match the state-of-the-art performance of PixelRNN on ImageNet, with greatly reduced computational cost. We propose a probabilistic video model, the Video Pixel Network (VPN), that estimates the discrete joint distribution of the raw pixel values in a video. The model and the neural architecture reflect the time, space and color structure of video tensors and encode it as a four-dimensional dependency chain. The VPN approaches the best possible performance on the Moving MNIST benchmark, a leap over the previous state of the art, and the generated videos show only minor deviations from the ground truth. The VPN also produces detailed samples on the action-conditional Robotic Pushing benchmark and generalizes to the motion of novel objects. 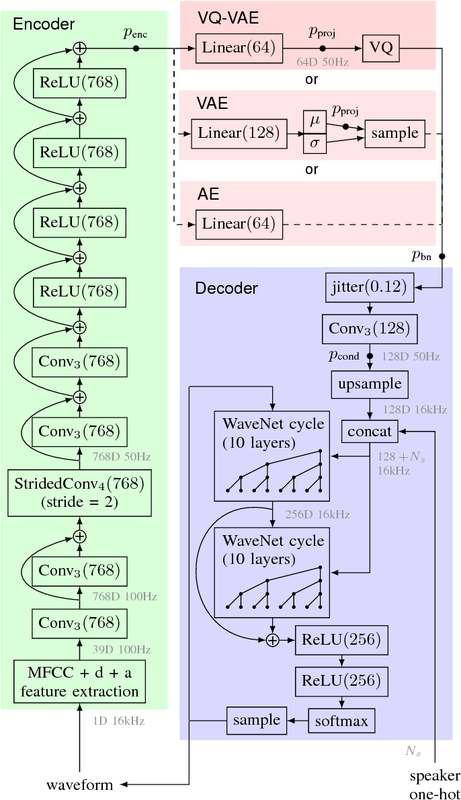 This paper introduces WaveNet, a deep neural network for generating raw audio waveforms. 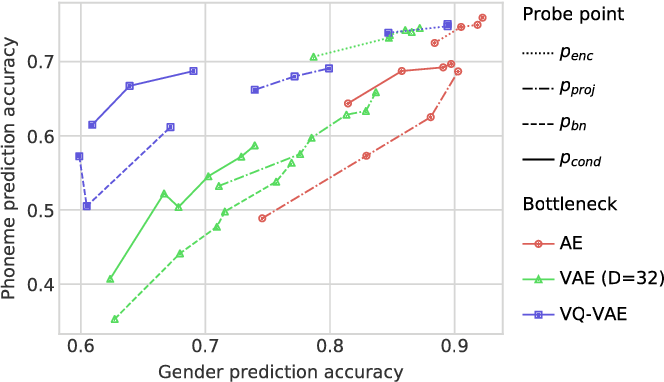 The model is fully probabilistic and autoregressive, with the predictive distribution for each audio sample conditioned on all previous ones; nonetheless we show that it can be efficiently trained on data with tens of thousands of samples per second of audio. When applied to text-to-speech, it yields state-of-the-art performance, with human listeners rating it as significantly more natural sounding than the best parametric and concatenative systems for both English and Mandarin. 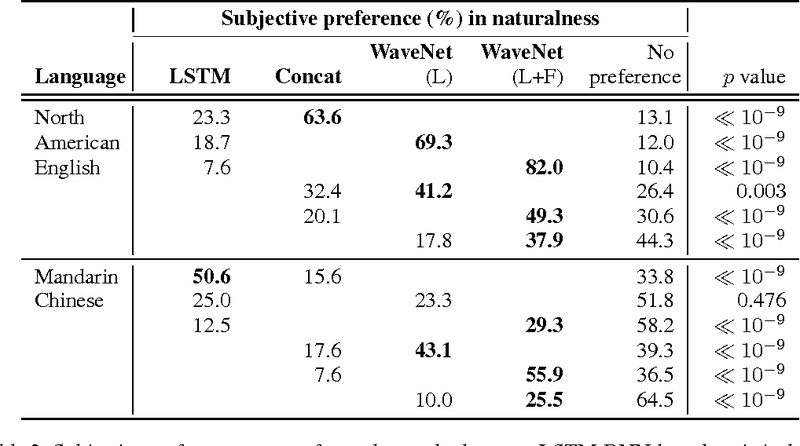 A single WaveNet can capture the characteristics of many different speakers with equal fidelity, and can switch between them by conditioning on the speaker identity. When trained to model music, we find that it generates novel and often highly realistic musical fragments. We also show that it can be employed as a discriminative model, returning promising results for phoneme recognition. 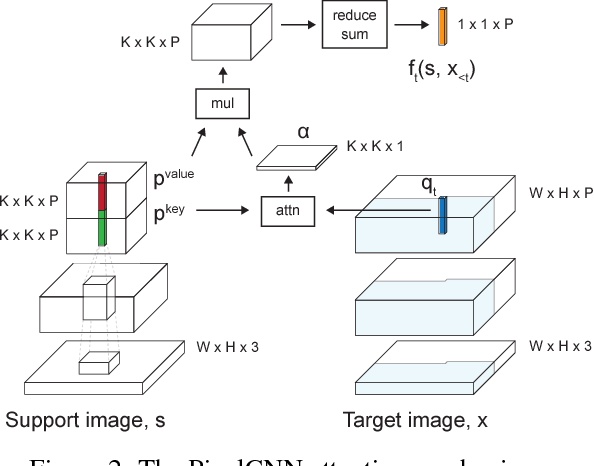 Deep autoregressive models have shown state-of-the-art performance in density estimation for natural images on large-scale datasets such as ImageNet. However, such models require many thousands of gradient-based weight updates and unique image examples for training. Ideally, the models would rapidly learn visual concepts from only a handful of examples, similar to the manner in which humans learns across many vision tasks. In this paper, we show how 1) neural attention and 2) meta learning techniques can be used in combination with autoregressive models to enable effective few-shot density estimation. 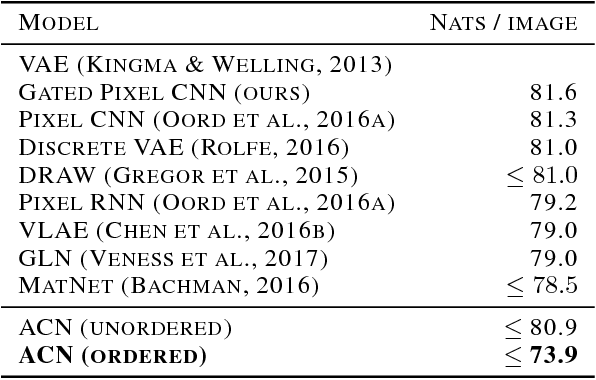 Our proposed modifications to PixelCNN result in state-of-the art few-shot density estimation on the Omniglot dataset. Furthermore, we visualize the learned attention policy and find that it learns intuitive algorithms for simple tasks such as image mirroring on ImageNet and handwriting on Omniglot without supervision. Finally, we extend the model to natural images and demonstrate few-shot image generation on the Stanford Online Products dataset. Sequential models achieve state-of-the-art results in audio, visual and textual domains with respect to both estimating the data distribution and generating high-quality samples. Efficient sampling for this class of models has however remained an elusive problem. With a focus on text-to-speech synthesis, we describe a set of general techniques for reducing sampling time while maintaining high output quality. We first describe a single-layer recurrent neural network, the WaveRNN, with a dual softmax layer that matches the quality of the state-of-the-art WaveNet model. The compact form of the network makes it possible to generate 24kHz 16-bit audio 4x faster than real time on a GPU. Second, we apply a weight pruning technique to reduce the number of weights in the WaveRNN. We find that, for a constant number of parameters, large sparse networks perform better than small dense networks and this relationship holds for sparsity levels beyond 96%. The small number of weights in a Sparse WaveRNN makes it possible to sample high-fidelity audio on a mobile CPU in real time. Finally, we propose a new generation scheme based on subscaling that folds a long sequence into a batch of shorter sequences and allows one to generate multiple samples at once. The Subscale WaveRNN produces 16 samples per step without loss of quality and offers an orthogonal method for increasing sampling efficiency. We present a meta-learning approach for adaptive text-to-speech (TTS) with few data. During training, we learn a multi-speaker model using a shared conditional WaveNet core and independent learned embeddings for each speaker. The aim of training is not to produce a neural network with fixed weights, which is then deployed as a TTS system. Instead, the aim is to produce a network that requires few data at deployment time to rapidly adapt to new speakers. We introduce and benchmark three strategies: (i) learning the speaker embedding while keeping the WaveNet core fixed, (ii) fine-tuning the entire architecture with stochastic gradient descent, and (iii) predicting the speaker embedding with a trained neural network encoder. 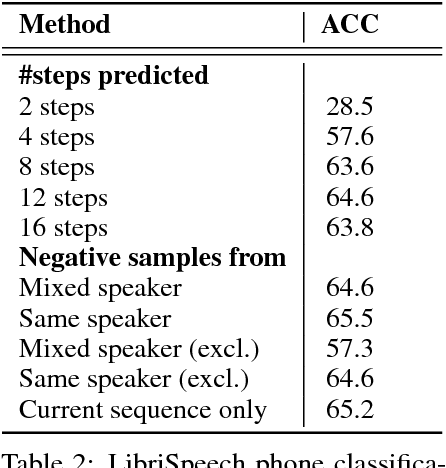 The experiments show that these approaches are successful at adapting the multi-speaker neural network to new speakers, obtaining state-of-the-art results in both sample naturalness and voice similarity with merely a few minutes of audio data from new speakers. The recently-developed WaveNet architecture is the current state of the art in realistic speech synthesis, consistently rated as more natural sounding for many different languages than any previous system. However, because WaveNet relies on sequential generation of one audio sample at a time, it is poorly suited to today's massively parallel computers, and therefore hard to deploy in a real-time production setting. 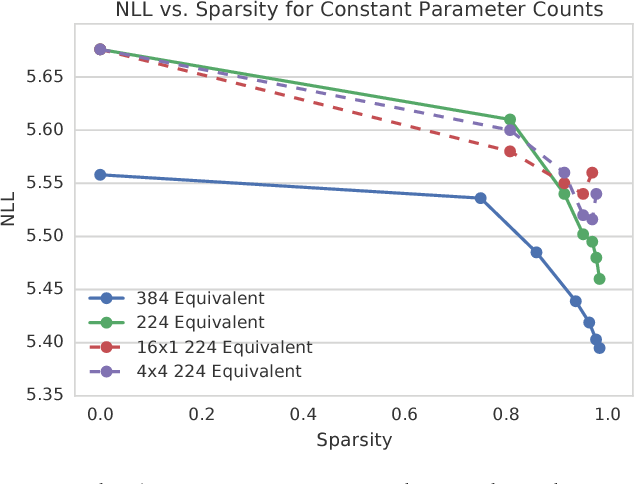 This paper introduces Probability Density Distillation, a new method for training a parallel feed-forward network from a trained WaveNet with no significant difference in quality. The resulting system is capable of generating high-fidelity speech samples at more than 20 times faster than real-time, and is deployed online by Google Assistant, including serving multiple English and Japanese voices.